Half angle of view: 20.82 "
Maybe Nikon is really serious about recreating the legendary Ai Noct Nikkor 58mm f/1.2 lens (read more about it here). 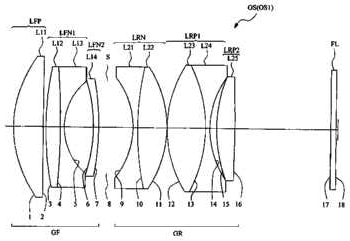 This entry was posted in Nikon Lenses, Nikon Patents and tagged Nikon 58mm f/1.2 lens, Nikon AF-S NIKKOR 58mm f/1.4G lens. Bookmark the permalink. Trackbacks are closed, but you can post a comment.